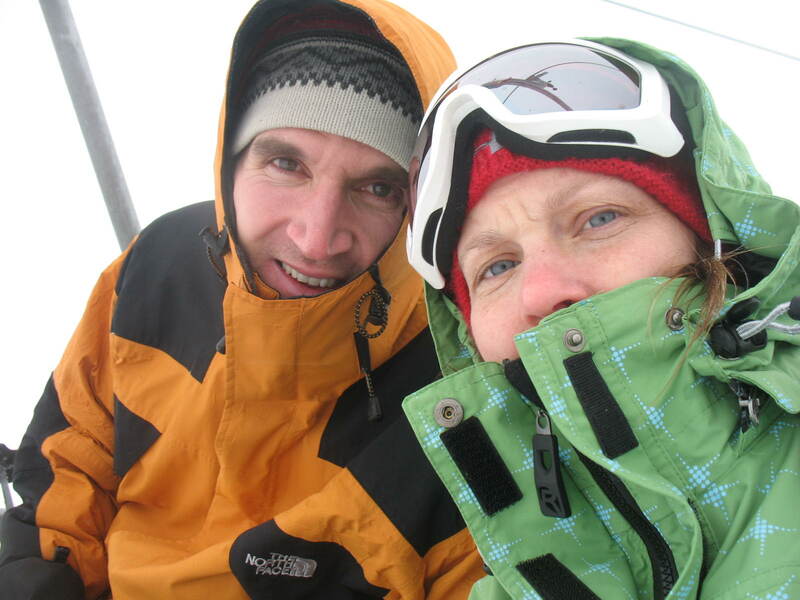 We took our first ever family ski trip in 2010, in fact, it was the first time skiing for all of us. Can you believe we lived in Utah for 6 years and didn't ski once! 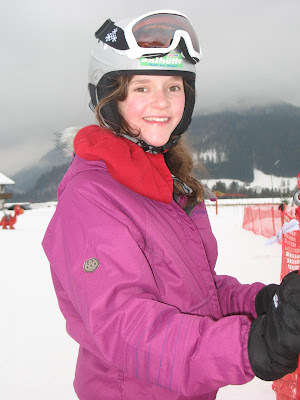 It wasn't until we moved to Germany that we decided we would take advantage of the close mountains and finally learn to ski. 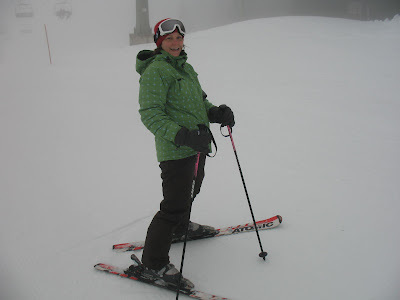 I don't claim to be super knowledgeable about skiing, but for total beginners Winklmoosalm was the perfect mountain to learn on. 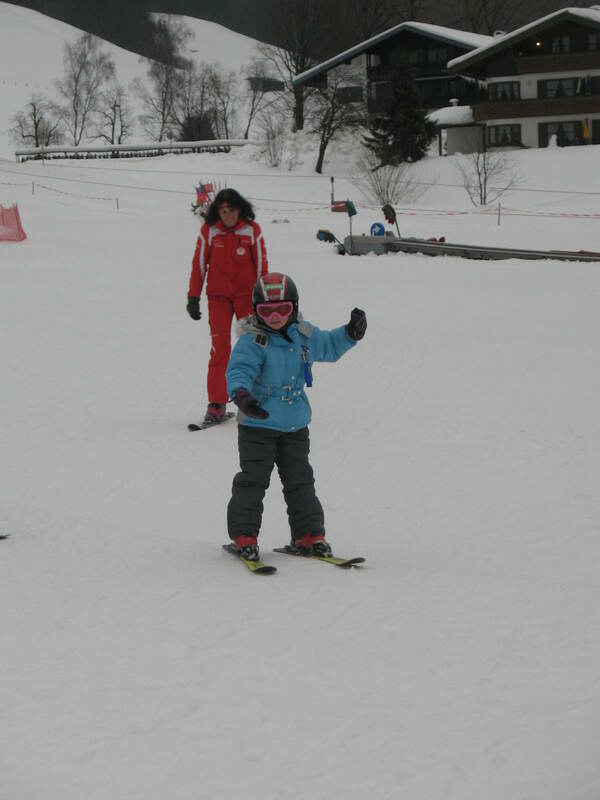 Aside from our super kind ski instructor, the mountain itself is very broad and the slope is gentle. I felt confident I wasn't going to sail off into some trees and we liked it so much we've been back a few more times. You can rent skis on the mountain, but the ski school for the girls was in Reit Im Winkl (about 15 minutes from the ski resort) and Intersport Rental is next to the ski school so we rent there every time. TIP: Reit Im Winkl also has many cross country ski paths. If down hill skiing isn't your cup of tea, I would recommend cross country. It's a good work out, not as scary and it allows you to really enjoy your surroundings. 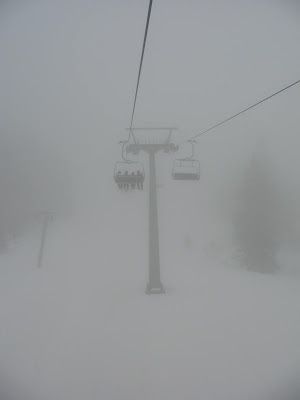 Skiing through the quiet of the forest is a new pleasure. 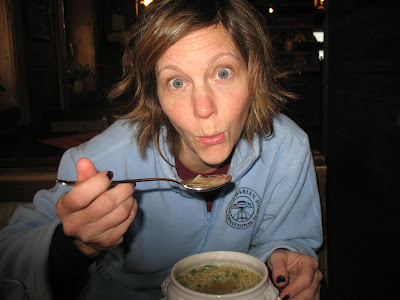 What is better than warm soup on a cold winter day? Being the new combers to skiing that we are, I was so impressed that we didn't have to go far when we were ready for lunch. There is a restaurant right next to the ski lift up on the mountain. 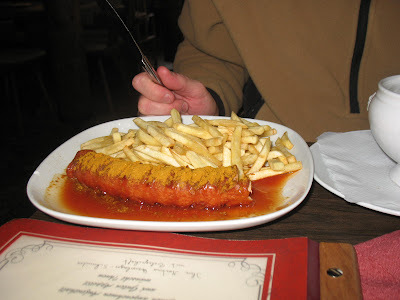 Okay, Bob's curry wurst was really good and I haven't met a German french fry I didn't like. Our attempt to get a photo of us together on the ski lift. The entire time I was thinking, "don't drop the camera, don't drop the camera!" Day two we hit the slopes in cold rain. The snow had frozen so our lessons the previous day didn't really prepare us for ski conditions, but we still managed to have a good time. Meanwhile, down at the ski school, the girls were happy. 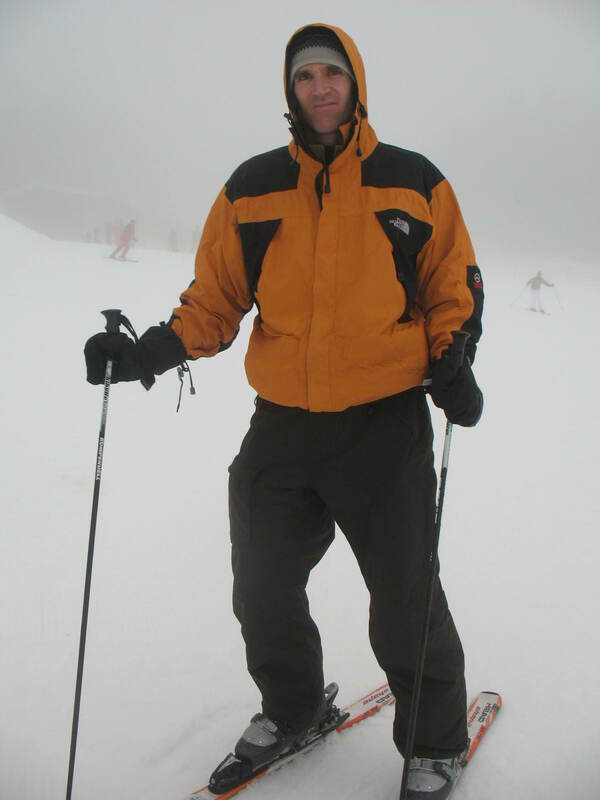 I appreciated that we were able to ski without worrying about them as they were well cared for.